We've implemented chat support to help you get the most out of middlespot. Let us know how we can help you out. We've added a whole bunch of new stickers to our library. 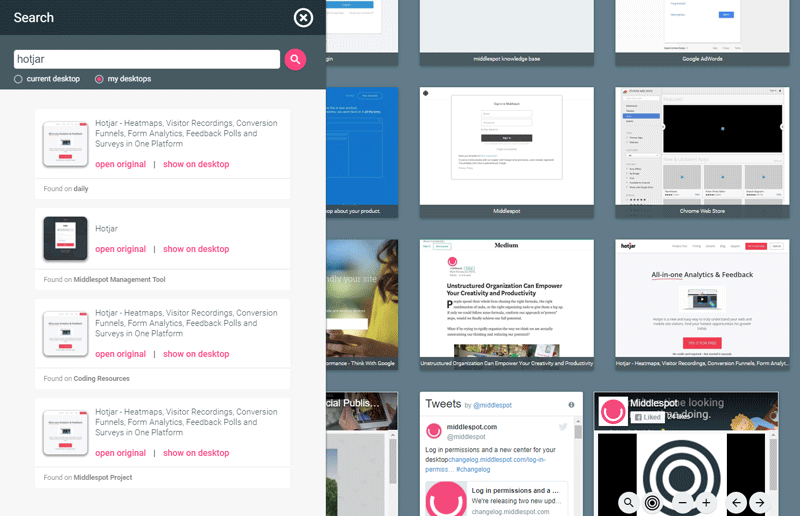 Add these to your desktop to highlight and draw attention to specific content. Or use them on a desktop you contribute to as a way to show your input. You'll find them in the sticker button under the add toolbar. you can select from over 100 new stickers. Check out this public desktop showcasing all of the stickers available on middlespot. Stickers can be resized, rotated, and layered on your desktop. We also added 8 new desktop backgrounds you can use as well. You'll find backgrounds in the settings menu of your desktop. Graduated permission access to your google account. 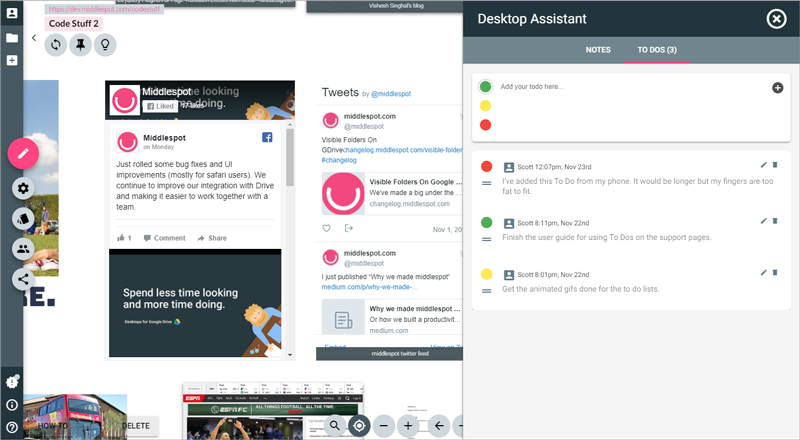 A new desktop center marker which will default as your desktop center. Now, when you first sign into middlespot using your google account, we will only ask for the bare minimum of access to your google services. As you start using more features of middlespot, only when we absolutely need to will we request additional access, and explain to you why its necessary. We use google single sign on to create your account on middlespot. We do this so that you can use the email and password you most likely use everyday for accessing your google docs, google drive, gmail, and more from Google. It also means we don't have to worry about passwords and recovering passwords as you do all that from Google. Middlespot has access to basic data from your account, like your name, email, gender, or country. 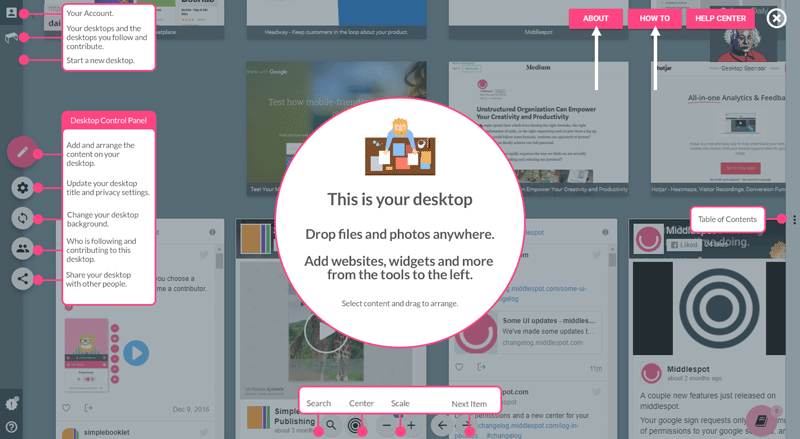 With this level of permission, you can create, manage and share multiple public and private desktops on middlespot. You can also add weblinks, bookmarks (if you have installed the middlespot chrome extension), plugins, stickers, and text. You will need to give us additional permissions if you want to add files, docs, images, videos and create new docs, spreadsheets, or presentations. We use your Google Drive Account to store your images, docs, files, videos, and audio files. We do this because your Google Drive is highly secure and very fast. It means we don't have to store your files on our servers, meaning we can keep offering middlespot at a very low cost. It also means we are less susceptible to hacking since none of your files are on our servers. A hacker would need to hack Google to get your content. You will be asked to provide this permission when you add a file to your desktop from the add tools or dragging and dropping a file onto your desktop. Level of Access: View and manage Google Drive files and folders that you have opened or created with this app. View and manage Google Drive files and folders that you have opened or created with middlespot. 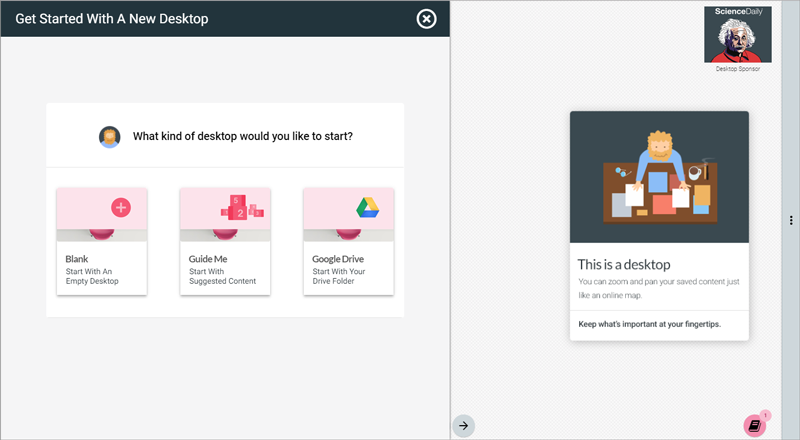 We require full access to your Google Drive Folder when you use the following two features on middlespot: Creating a desktop from an existing Google Drive Folder, and, Syncing files that were added to your Google Drive Folder with your middlespot desktop. Level of Access: View and manage the files in your entire Google Drive. 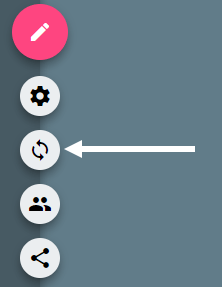 Now, when you start a new desktop, you will see a new marker appear in the very center. This marker is a waypoint for you to use to set where your desktop will automatically load when opened. 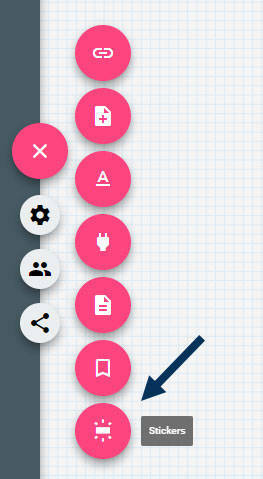 It is also where your desktop will navigate to if you click the center button in the navigation tools along the bottom. To do this, enter edit mode, select the center marker with your finger or mouse pointer, then drag it to any location on your desktop. This new location will become the default center of your desktop. Surely middlespot will start publishing changelogs very soon.